8:06pm ET: The Yankees have announced the signing. Lind is heading to Extended Spring Training on a minor league contract. 6:15pm ET: Welcome back, Adam Lind. The Yankees have re-signed the veteran first baseman to a new minor league contract, reports Chris Cotillo. Lind will head to Extended Spring Training to get up to speed. He’s going to need a couple dozen at-bats before being a big league option. Lind, 34, signed a minor league deal with the Yankees on March 7th, then requested his release a week later on March 14th, after the Yankees signed Neil Walker. He went 3-for-15 (.200) during Grapefruit League play. Lind hit .303/.362/.513 (122 wRC+) with 14 homers in 301 plate appearances for the Nationals last year. 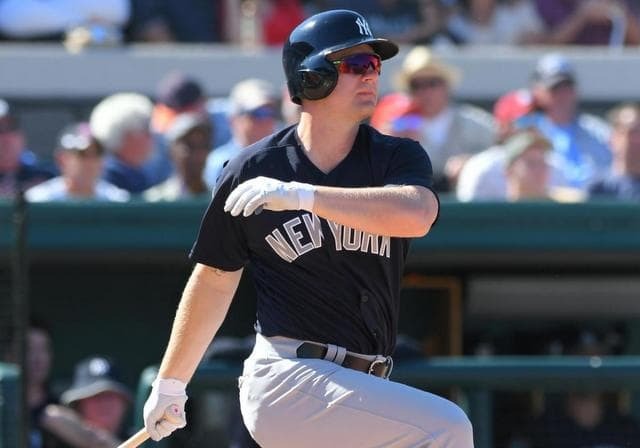 Greg Bird is still a few weeks away from rejoining the Yankees following ankle surgery, and neither Walker nor Tyler Wade has hit much yet, so Lind could be useful at some point. This seems like a sign him, see how he looks, then go from there move. I’m not sure there’s a firm plan in place yet.